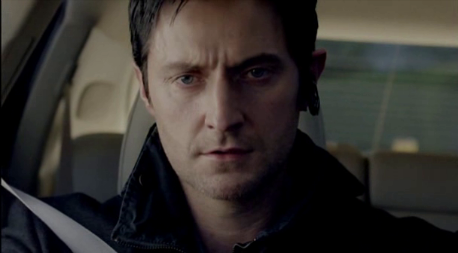 But I really do think Lucas North won’t die even if he might still be toast, i.e., Richard Armitage will probably no longer be a regular on Spooks (MI-5). My gut says he will go off to prison or defect to another country or something that will allow him to come back as a guest star OR possibly be in the movie version of Spooks that RA’s talked about a few times. Yep, mention of that one too many times has tipped the scale in favor of Lucas surviving this series if not being a regular. Agree to a point. Can’t justify it as haven’t seen an episode of #9 yet, but just feel it in my waters after reading all the spoilers. He could just disappear like Tom. But coming back to Spooks after doing Capt. America, Strikeback, the Hobbit and whatever else will eventuate after filming movies would be a backward step for Richard Armitage I imagine. As for the movie Spooks, I hope they never do it, UNLESS they have the original cast-members. It will be a mess-up otherwise. Personal opinion only! I can’t bear the thought of others being Harry, or Jo, Beth, Dimitri, Tom, Ros, Adam, Malcolm, Tariq et al. Think about it . . .
I’m not putting this on Twitter or FB since it would freak some many people out. This is just to yank the chain of the few of you here. LOL! I agree about the movie. I wasn’t keen on it when I first heard it mentioned. I really have no idea what’s going to happen, but my gut does keep saying, the guy is not going to die. Should be interesting to see what happens. Whatever does happen I’m going to miss Lucas! But bring on Heinz and Thorin! I have been thinking about this a lot. And I think he is going to disappear at the end of this series. Now, I have read spoilers but know nothing about ep 9. Perhaps they are trying to leave the door open for him to return in future series, but I agree, I don’t think he’ll be coming back as a series regular even if Spooks carries on past Series 10. When I think of a Spooks movie, I am afraid I think about the X-Files movie. And that wasn’t a great success, even with our dear Skully and Mulder. I’m not planning to watch Spooks once RA is gone, anyway. Well, not illegally. If it shows up on my screen here in the US, sure. But I won’t go out of my way. Bring on the evil Nazi henchman and the hairy dwarf, I say. And Lucas, you’ll always have a cozy spot on my couch and choccie-iced doughnuts and nice cold milk for you and the other Characters. You know I wuvs you. Well, Guy never died, because I closed my eyes. And agree, Angie, time for RA to move on. There might be method to the madness of the Spooks scriptors, (and I do think that there actually was a dramatic logic to killing off Gisborne, pause to cry), but Lucas has more character exploration, and I don’t think, from S8 on, that the scriptors “got it”. Short-term scriptor thinking. Time to move on. Good on RA. But pity for a wasted character. Assuming he is on the way out, which appears most likely. They can always bring Lucas back like Tom Quinn…seemingly permanently gone from the series after Season 2, and then back when not expected. In Spooks things are not always what they seem,. Other characters in Spooks have gone for a while and come back – Ros and Ruth for example. Why not Lucas if RA is willing to do it? Other British actors go back and forth between films and TV and the rest, and why not? I believe if it’s a good role, it shouldn’t matter if TV or Movies. I mean there are some really bad movies, with bad actors out there…and great TV programs with great actors. The James Bond franchise sadly may be in trouble for now, so maybe what the world needs is a Spooks movie. If the writers would actually spend some time on the script and not just ride on the coattails of the show’s success, it might be a good movie. I don’t hold out a lot of hope for that. Ftizg, honey, Guy is SO not dead. He’s got a milk mustache right now and is eating up my choccie chip biscuits while trading barbs with John Porter in my den. I’ve already promised Lucas no matter WHAT The Powers That Be may come up with, he is safe here with me and my fellow fanfic writers, who will treat him right. Frenz, I agree. if there was a quality script–well-thought out, well-crafted–it could be a good Spooks movie. But I am not holding my breath, either. I have a bone or two to pick with scriptwriters, lately, to be honest. Please believe me, ladies, I don’t want to see Lucas go as a character. He is a fascinating and complex character with so much promise, sadly wasted by this team of scriptwriters in much of S 8 and 9, in my view. Yes, there are good, well-crafted TV shows out there, often better than a lot of theatrical releases. And I have no problem with actors moving between TV and film, as I have said over at Servetus’ blog. Frankly, I am angry right now with Kudos and the way they’ve mangled this character (unless they do some serious making things up to me in the last two eps) and that makes me leery of him going back to Spooks as more than a one-off. I’m not all that sure Spooks is going to be around that much longer. That’s MY gut feeling. I’ve tried not to watch S9 too closely …lol… but I hope Lucas has a sensationally clever exit of some description. (A disappearance like Zoey, perhaps?). Episode 1 of S8 went down quite well over here on Saturday, BTW. Wouldn’t put it past Kudos to leave an escape hatch open for a Return of Lucaa; given the casting as a dwarf in a PJ film, the fan base, which will follow the (not exaactly dwarf-size Pied Piper), they know their bread and the butter. You’re messing with my mind!!! But you reminded me of something I had forgotten – it’s Spooks tonight – yay!!! Care parcel on the way, Angie. Includes dog biscuits. For? 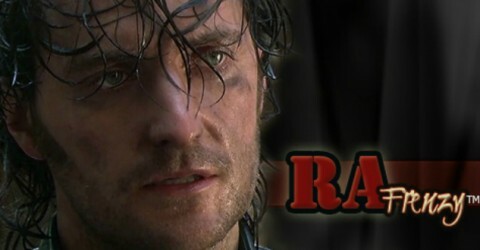 Gisborne? Still getting used to a laptop keyboard, following the demise of the desktop hard drive. Typo alert! Yes, one can imagine Guy’s taste in movies…. I’m praying your gut is right Frenz! I have thought about the mention of the movie too and it keeps my hope, just like I kept on believing it was true that RA would appear in CA when nothing was announced and people began to doubt it…. Although the previews for tonight’s ep don’t look very promising. Where can we hold the funeral? Oh man, I was so pissed off and depressed when I wrote the above and I didn’t even proofread. Got my posts deleted elsewhere as well. I need a break from the crazy (probably my own). As for a Spooks movie., has that been seriously considered? Now that the Armitage has hit the big time, perhaps he will prefer that to any TV. It’s our loss, really, because it’s terrific to see him on the small screen every week. A movie is over in 2 hours and you have to wait for the next one forever. I’m glad we have a body of TV work to view over and over. RA’s acting has been peerless in Series 9. One very good thing to come out of this debacle. Anyone think he might be up for a BAFTA next year? Considering he’s had to work with piss poor writing, of course he should be up for a BAFTA. This series is so much better than 8 although I loved some things about 8,. But the wasted opportunities with this character make me sick. I term it character assassination, ladies. I would say the writing was somewhat better this ep–I don’t think I am nearly as enthusiastic about it this ep as Servetus is–but they have SOOO much ground to make up and only one ep left. And I am not holding my breath. At least Guy got an honorable death. What the blazes do they have in store for “John”? These last two series of Spooks for me have largely been a disappointment. Lucas North was such a complex, intriguing character–flawed, yes, damaged, more than likely; but essentially a hero with so many layers still left to peel back on his past. Now we find out he really didn’t exist at all–not as we knew him, anyway. All the things I loved and admired about him earlier on were a lie. I’m angry and disappointed and I feel as manipulated by TPTB as Lucas/John felt by Vaughn. Such a total, absolute *&&#$%@ waste. Does he deserve a BAFTA? Yes, absolutely. Does Mr. Crumbly at Frost’s blog deserve to have his head examined for once again referring to RA’s performance as “wooden?” Most definitely. I didn’t read this in sequence because of spoiler fear. Agree his acting has been absolutely spectacular, even more so when you consider all the non-explanations in the script. Man oh man. Tangent: All About Viggo What’s So Fearsome?